This is why promoting your honor is so important. With this need in mind, CBN has spent years developing a collection of resources designed with one singular purpose – to increase help you increase the visibility of your award-winning business. Promoting this honor in the right way will contribute to the development of a brand of excellence that will attract new business, build customer loyalty, and motivate staff and management. Keep it updated to provide your most current info for people checking you out online. An upgraded award page is available for maximum SEO value. Share the good news where people will see it in person and online to promote and attract new business. Prominently displaying your award at your place of business, in the office, online and on the go builds your reputation. As an added benefit, the design of your unique Award Page URL is Search Engine Optimized to support your online marketing. Promote your business as an award winner. Place your custom digital images on your website and in advertising and marketing materials. 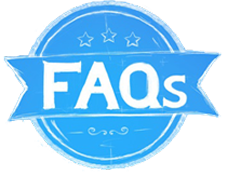 It reassures prospective customers and clients that they will get quality service. Boost your SEO. Back-linking your award page to your website and social media profiles, in press releases, digital marketing and even email signature can add to your SEO. Have no fear! Unlike user review sites, we will never advertise your competitors on your award page. Announce and publicize your award status where customers and prospects will see it. Give them something to talk about! Third party testimonials have credibility enhancing power. 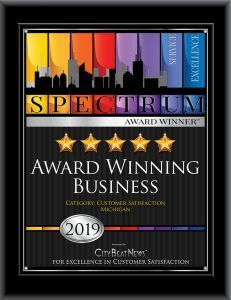 Place the Spectrum Award plaque image on your website, press releases, advertising and marketing materials. Click here for more information on professional assistance in developing and effectively placing press releases. Display your award materials prominently for daily messaging and branding enhancement at your place of business. Learn how to use your digital award images effectively to boost your brand by contacting an award representative at CBN. Your team plays a large part in your customer service performance. Thank them for their part in your recognition. They will appreciate your gratitude and be more encouraged to make you their personal recommendation. This will instill them with a sense of pride and motivate them to create a buzz about your achievements generating more word-of-mouth promotions in person and online. Consider a Certificate of Appreciation or have a celebration to thank them for their contributions. Distinguish your company from others by using the Spectrum Award and graphics in your email signature, social media sites and advertisements. Share and post your award page via social media news feeds directly from your Award Page. Update your company and personal biographies and profiles to include your award-winning customer service accolades. You earned it.